Tuscany without the crowds is every traveler’s dream and your chances of finding it increase dramatically when you seek out some of the region’s lesser known areas, like the Lucchesia, the richly diverse countryside in and around Lucca. Here you’ll find pristine medieval villages, gorgeous villas, elaborate gardens, lesser-known wine routes and fine Lucchese wines and rustic cooking. 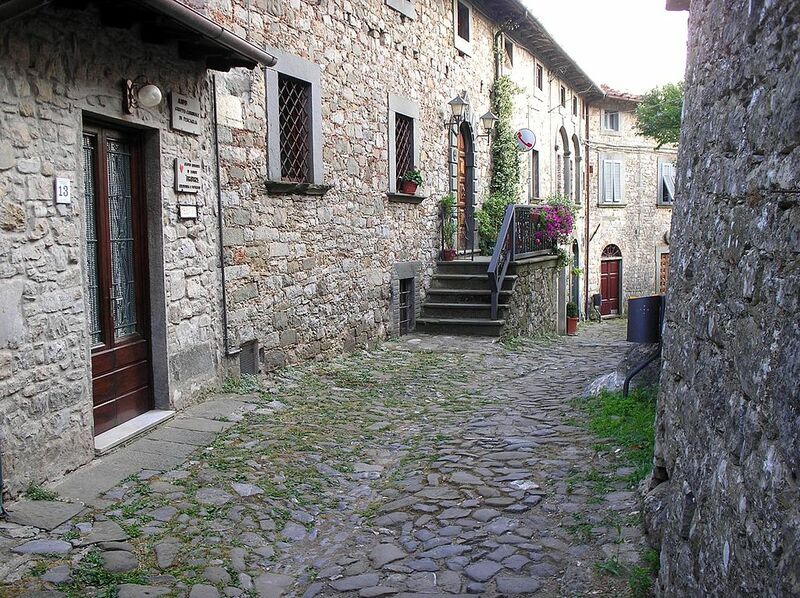 The five villages below, all a short drive from Lucca, will help you experience a part of this famous region free from the tourist bustle, and provide a new dimension to your Tuscan experiences. Altopascio: Is this where you find the best bread in Tuscany? Altopascio, settled in Roman times, was the site of a fierce Lucca-Florence face-off in the Middle Ages. After the Battle of Altopascio, the victorious Ghibelline commander, Castruccio Castracani, was made Duke of Lucca. On a gentler note Altopascio is known for its phenomenal bread (Pope Francis is rumored to be a fan), regarded by many foodies as the best in Tuscany. It is made, as is most Tuscan bread, without salt (sciocco); bakers say its uniqueness is due to the local ingredients and a special leavening agent called called sconcia. Each May Altopascio hosts a bread festival, showcasing the town’s most famous product. After sampling the breads, you can work off the carbs along the town’s portion of the Via Francigena, a walking trail used by pilgrims in the Middle Ages that reached from France to Rome. 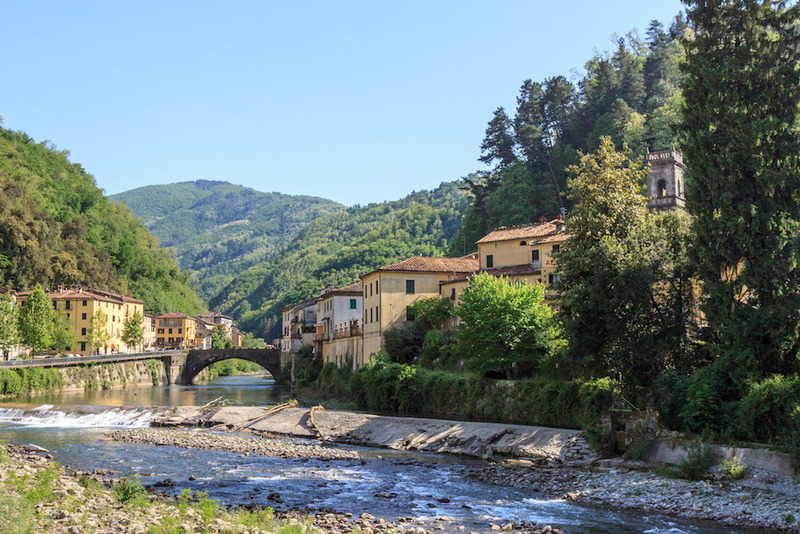 Saturnia and San Casciano del Bagni may be the better-known Tuscan spa towns today, but in the 19th century Bagni di Lucca, an amalgam of 45 hamlets in the Val di Lima, was the place to go for a restorative sojourn. 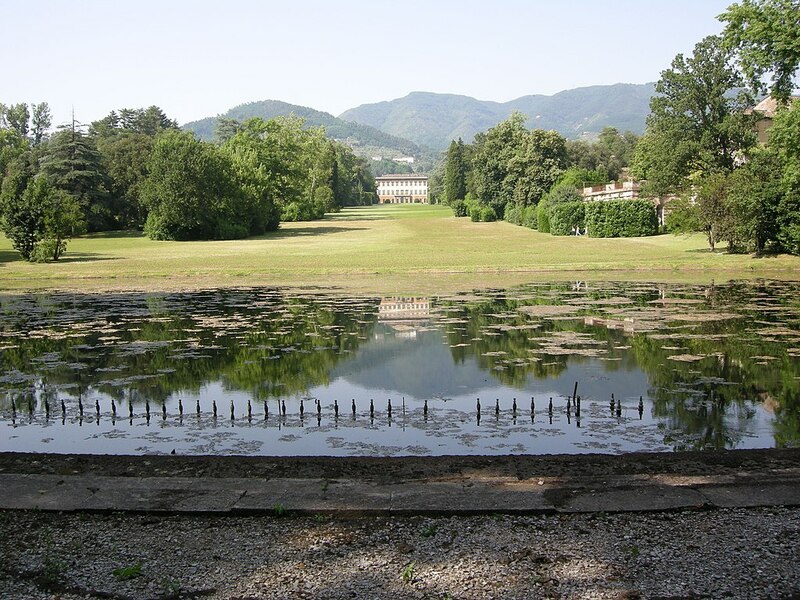 The rich, famous and powerful powerful flocked to this area for the hot springs and spa treatments, among them Lord Byron, Percy Shelley, composers Franz Listz, Johann Strauss and Giacomo Puccini, and the Grand Duchess Elisa Baciocchi, Napoleon’s sister. Bagni Caldi and Ponte a Serraglio are the frazioni to head to for thermal baths in use since the Middle Ages. At Bagni Caldi there’s the Jean Verraud spa and in Ponte a Seraglio, the Centro Bernabo. The charming Ponte a Serraglio is also home to the first public casino built in Europe. It dates from the 19th century. 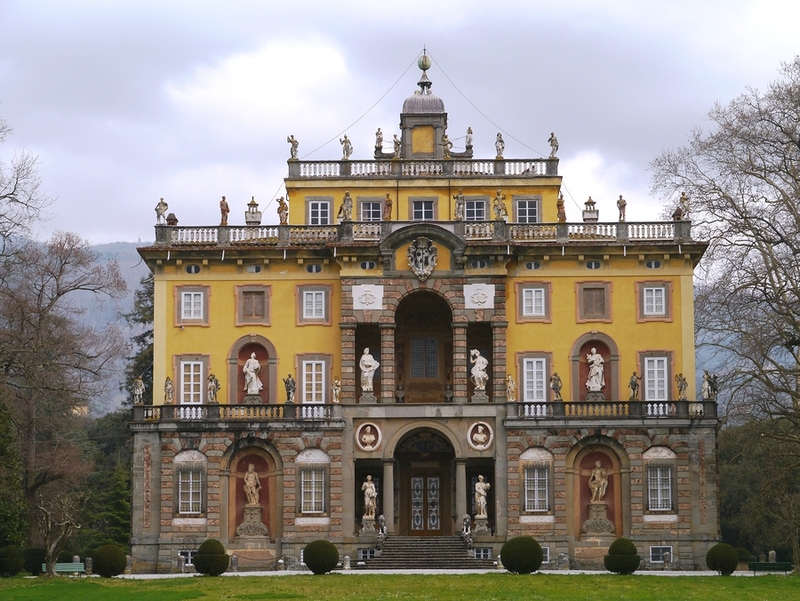 In the frazione of Camigliano the Villa Torrigiani (interior and gardens open March through December), set amid elaborate baroque landscaping, is richly decorated with stucco work and frescoes. 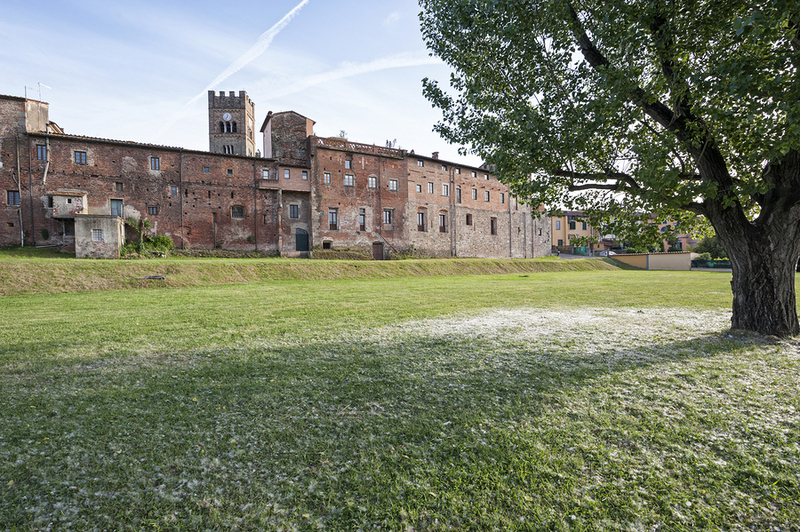 Both the house and garden of the 16th century Villa Mansi in nearby Segromigno in Monte, and the Renaissance-era Villa Grabau in San Pancrazio are open to the public. Visiting Capannori is a special treat in spring when the Mostra delle Antiche Camelie della Lucchesia, the annual camellia festival, takes place (this year from March 31 to April 2nd). Numerous varieties are on display in the aptly named Borgo delle Camelie, made up of two Capannori frazioni, Pieve and Sant'Andrea di Compito, where you’ll find the Camellietum Compitese, a park devoted to camellias. 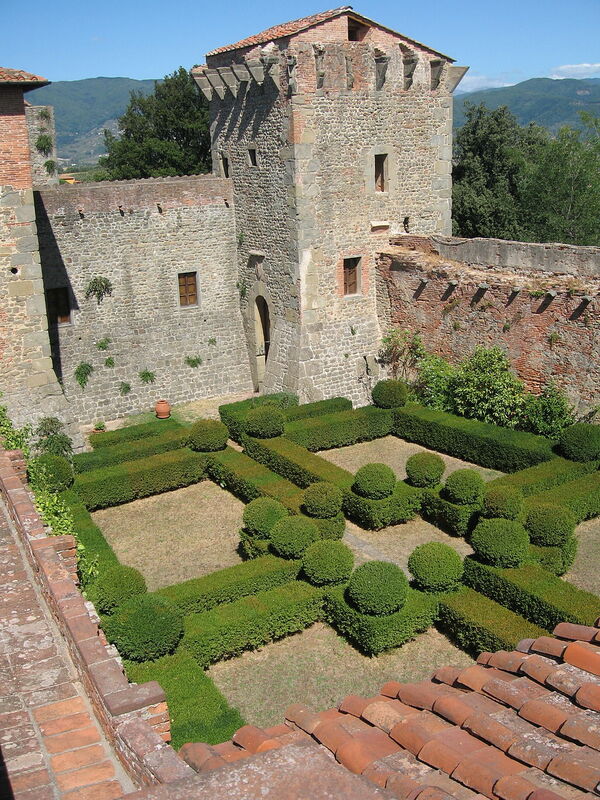 Colognora’s medieval beauty, a jigsaw of cobblestoned streets dotted with arched passageways and lined with stone houses, was a setting for Spike Lee’s movie Miracle at St. Anna about an African American US Army regiment during World War II. (A German movie Bergfried was also filmed here in 2015.) The mountain village overlooking the Val di Roggiowas near the Gothic Line, Germany’s defensive stronghold that reached from coast to coast during the Italian campaign. Settled in Roman times, Colognara’s earliest records date to the 9th century. As you stroll through the streets look for a plaque outlining town statues from the 1400s (one of which forbad clothes washing in the municipal fountain!). Chestnuts were a vital part of the Colognora economy—its trees were used for construction and furniture making; the nuts made into flour for pasta and baked goods; or cooked and candied for a wide variety of dishes and food products. The town is home to the National Chestnut Museum which documents the history of rural life and crafts in the area. Located on one of Lucca’s Strada del Vino routes, the town produces the highly regarded Montecarlo DOC,whose red and white wines include French varietals in the mix. For example in addition to the Sangiovese used for red wine, grapes associated with Bordeaux like Cabernet Sauvignon and Merlot are often blended in; the white can combine the local Trebbiano Toscano with Semillion and Sauvingnon Blanc, also from Bordeaux. The town hosts its annual ViaVinaria, an open cellar and wine tasting event that takes place typically the third weekend in May. Montecarlo, like Lucca, is known for its fine extra-virgin olive oil, and you’ll find a number of producers selling DOP oils in addition to their wines on the Strada del Vino. In town make sure to visit the Teatro dei Rassicurati, dating from the late 1700s, and a place visited by opera legend Giacomo Puccini, one of Lucca’s most famous native sons. Foodies: Some food critics say that Lucca’s cuisine is among the best in Tuscany. In addition to the Altopascio bread and Collini Lucchesi wines, look for delicious and hearty farro and bean soups; garmugia, an artichoke, asparagus and bean soup made in the spring; tordelli, a ravioli-like pasta with meat or vegetable filling; and buccellato, a large doughnut-shaped bread/cake flavored with aniseed and raisins.